Home » News » Bernell Hydraulics Offers 24/7 Service – Even on Easter Sunday! Spring has sprung and that means that Easter is right around the corner! You might be thinking ahead to a delicious ham dinner, or whatever your family usually has, or even Easter egg and basket hunting. How great is it to see your children’s faces light up when they’re tearing through the house looking for their stocked Easter basket, or flying through the local park for the annual Easter egg hunt? Aside from the sugar rush that they will likely experience, there’s also something else that might be on your mind – what will happen if equipment fails at work during the holiday. Although it might be the last thing on your mind, it’s still something that you need to consider. No one likes downtime on a job site. It can be costly in terms of lost profit and even lost customers. You have strict deadlines to meet and when orders are not fulfilled on time, you can lose customers. 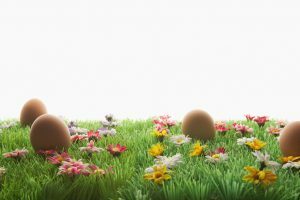 Unfortunately, your hydraulic equipment doesn’t know when holidays roll around, and the fact that it is Easter Sunday certainly won’t stop your equipment from breaking down or malfunctioning. That is why it is essential to have a hydraulic equipment repair service that is available 24/7, even on holidays and weekends when others aren’t. Thankfully, with Bernell Hydraulics in your corner you will not need to worry about waiting lengthy periods of time for your hydraulic machinery to be fixed. At Bernell Hydraulics, we offer 24/7 diagnostic and repair service. It makes no difference to us whether your equipment malfunctions at 2pm on a Tuesday, 11pm at night, or even 6pm on Easter Sunday. We have service technicians on call twenty four hours a day, seven days a week, three hundred and sixty five days a year. If your hydraulic equipment fails, we will send someone out to diagnose and repair it. Having a technician onsite that is able to diagnose and repair your hydraulic machinery means little if they do not have access to the parts required to fix them. At Bernell Hydraulics, we have four convenient locations throughout the Inland Empire area of Southern California. That means that you can eliminate both the cost to ship components from outside of the area, and the time that it requires to wait for delivery. Bernell Hydraulics has the personnel and hydraulic components available to fix your machinery on the spot, saving you valuable time and money. Bernell Hydraulics has over 42 years of industry experience. Our technicians are highly qualified and trained, and we have top-quality hydraulic components in stock. Whether you are looking for preventative maintenance services, hydraulic components, or emergency repair services, Bernell Hydraulics can deliver. Rest easy when holidays and weekends roll around, that Bernell Hydraulics has you covered.